Have Hope. God Will Do It. Recently a friend of mine and I were having a conversation about hope. This friend is a witness to hope herself, and she frequently encourages and challenges other women to likewise have hope. She especially loves to speak hope to single women who are waiting and longing for a spouse, to those who long for healing, or for God to answer the deepest desires of their hearts. My friend witnesses to hope, and yet her own hope has not come to her immediately or easily. Her hope has been given to her as the fruit of years of prayer and personal work to wrestle through great challenges and sufferings, questioning great mysteries and bringing them to the Lord, the source of her hope and her joy. God has not answered all of her prayers yet, and He has not brought out complete resolution to all her intentions, and yet she still has hope and joy in the midst of the waiting. This is what truly makes her an example of hope. Similarly, today’s readings remind and challenge me to have hope. In the Gospel Jesus says, “I will do it” to the leper who asks to be made clean. Do we have hope in God’s promise? Do we believe that God will take care of it and He will do it? 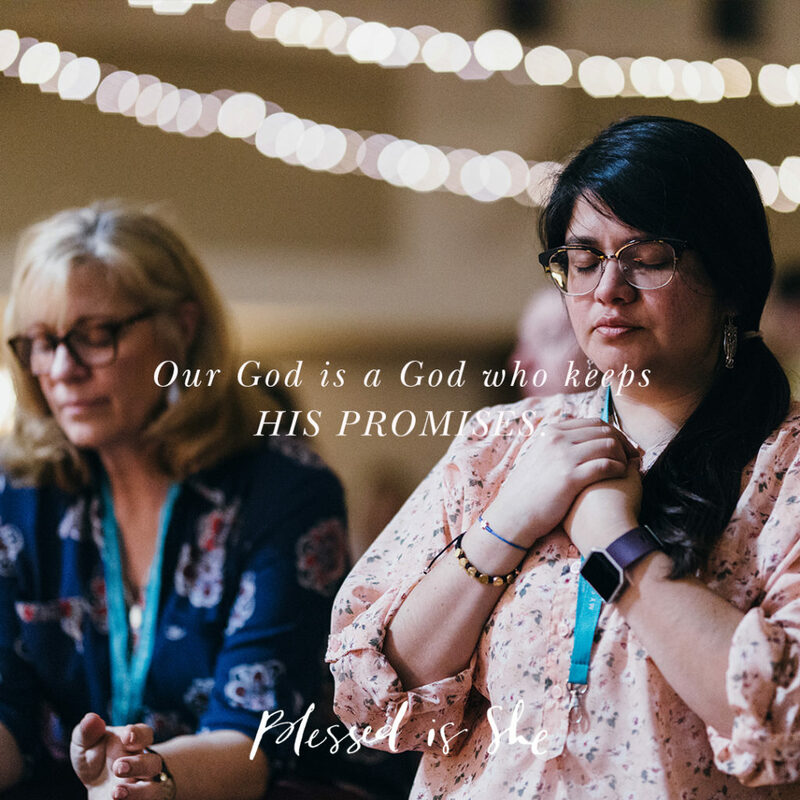 Our God is a God who keeps His promises. He keeps His covenant for us. Sometimes He fulfills our longings after waiting for a long time like in the First Reading the years and years that Abraham and Sarah waited for a child. Other times He answers our prayers immediately like the leper in today’s Gospel. Often times our prayers are not answered in the way we necessarily expected, but God is still with us and He is answering our deepest truest needs. We must have hope that even if our prayers are not answered in the way we expect, in the exact way we wanted, or within the time frame that we thought we needed, He will do it. And He is with us. God’s presence among us is reason enough for us to hope. God’s presence among us is reason enough for us to hope. Can we be witnesses today to the joy that comes from being a woman who truly hopes in God and believes in His promise? Can you share some hope with a friend or sister today?